The Rs.5-10 lakh segment will soon see a plethora of interesting car launches in India. This means the gaping void that was left after the ouster of the likes of the Maruti Suzuki Esteem, Accent Viva and the likes may soon be filed. From the buyers point of view many people who presently own hatchbacks (small cars) will finally have an array of options to choose from for their next logical upgrade. These cars are all being launched thanks to the competition amidst car makers has which has pushed them to explore new segments such as compact sedans. Here is a comprehensive list of upcoming sedans to be launched during the second half of 2011 and early 2012 in the Indian market. The new 2011 Ford Fiesta which will be sold in the Indian market is a global car. The new Fiesta has attractive “foxy-eyed headlamps”, a trapezoidal front grille and a forward-leaning stance. The new Fiesta’s interiors, especially the central console has a design-inspired by mobile phones keypads. Interesting features of the new Fiesta include multi-function voice-activated controls, steering mounted audio controls, follow-me home headlamps and auto-folding mirrors. The new Fiesta is expected to be launched in July 2011. Skoda is planning to launch a Volkswagen Vento based sedan called the Rapid in India. The car is currently under testing phase. The Rapid will get its engine from the Volkswagen Vento. The Rapid petrol will be powered by 1.6 litre petrol motor that makes 103.56 bhp of max power and 153 Nm of max torque while the Rapid diesel will be powered by 1.6 litre diesel motor that makes 103.56 bhp of max power and 250 Nm of max torque. Both the engines will be mated to 5 speed manual transmission. Expect the Skoda Rapid to be priced somewhere between Rs. 6.80 lakh to Rs. 10 lakh. 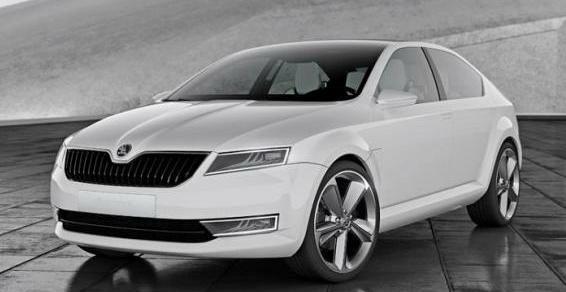 There are speculations that Skoda may either launch the Rapid during the last month of this year or may unveil it at the 2012 Delhi Auto Expo in January 2012. The Skoda Rapid will compete with Volkswagen Vento, Maruti Suzuki SX4, Fiat Linea, Honda City and Hyundai Verna. It has to be noted that cars with a sub-4 meter length are taxed only 10% while those above 4-meters attract 22% excise duty. Mahindra Verito compact sedan will likely be powered by a 1.2 litre petrol motor and a 1.5 litre diesel motor that power the current Verito petrol and diesel respectively. The 1.5 litre diesel engine makes 65 bhp of maximum power and 160 Nm of maximum torque. In order to keep the price competitive the Mahindra Verito compact may miss out some convenient features offered on the present Verito. Mahindra Verito compact car could be priced in the Rs. 4.5 lakh to Rs. 6 lakh price range. The diesel Verito will feel the heat from the Tata Indigo eCS. Mahindra Verito compact version will likely be launched during the end of 2011 (Nov-Dec). The car will compete with Tata Indigo eCS and the upcoming Maruti Swift Dzire compact. Maruti Suzuki may use the same interiors of the Swift Dzire in the Swift, but in order to price the car competitively, some of the features will be stripped off. The Dzire compact petrol will be powered by a 1.2 litre petrol motor that makes 84 bhp while the diesel version will be powered by a 1.3 litre DDiS motor that makes 75 bhp of max power. The Swift Dzire will be priced Rs. 30,000 – 40,000 lower than the current Swift Dzire which starts from Rs. lakh and goes up to Rs. 4.94 lakh to 7.19 lakh (ex-showroom, Delhi). 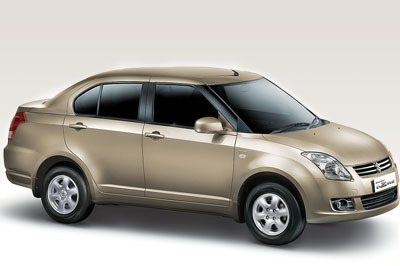 Maruti will unveil the Swift Dzire at the 2012 Delhi Auto Expo. The new Swift Dzire will take on the Mahindra Verito Compact sedan and the Tata Indigo eCS. This might change once Chevrolet rolls out the SAIL sedan (and hatchback too) in Indian market. The Sail shares design elements with the Cruze, especially the bow-tie like front grille. The interiors of the Sail can be expected to have contemporary features and an ergonomic design layout. The Sail will be powered by Chevrolet’s modern S-TEC engine that will make around 100 bhp of maximum power while the diesel motor will likely be a 1.3 litre diesel (Fiat’s Multijet engine) that makes 90 bhp of maximum power. The Sail will likely be priced in the Rs. 6 lakh to Rs. 8 lakh range. 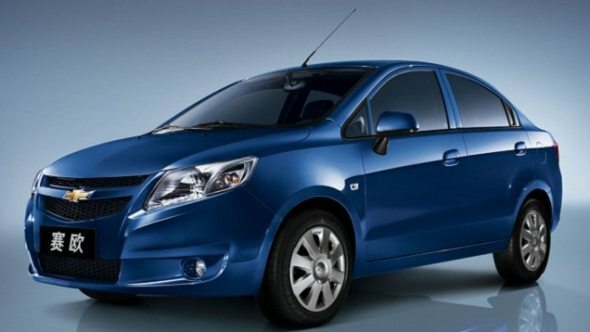 Chevrolet Sail is expected to hit the market by December 2011. The Sail will compete with Maruti Suzuki Swift Dzire, Tata Indigo Manza and Toyota Etios. 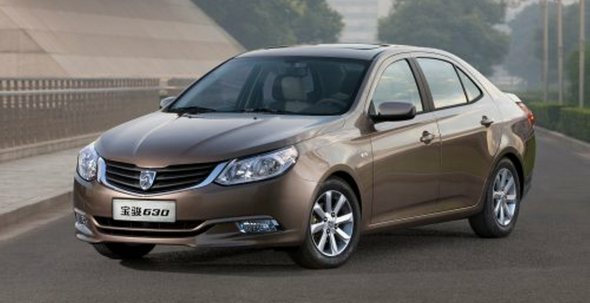 The China-specific 630 sedan will be powered by a 1.5-litre Roewe engine that makes 105 bhp of max power and 135 Nm of max torque. It has to be noted that Roewe is owned by SAIC and Volkswagen. This engine will likely meet the Euro IV emission standards and hence could make its way into the Indian market as well. The 630 sedan could replace the ageing Chevrolet Optra model in Chevrolet India’s product line up. The 630 sedan will likely be priced in the Rs. 7 – 10 lakh price range. Pricing will be a crucial factor for Chevrolet to attract buyers in the competitive entry level sedan segment. Expect GM India to launch the sedan in mid 2012. The Chevrolet Sail models could be launched first and then the 630 sedan could follow. When launched, the 630 sedan (depending on the price) will lock horns with top-end variants of Toyota Etios, Swift Dzire and may also attract buyers of Toyota Corolla Altis, Fiat Linea, Honda City and Hyundai Verna.